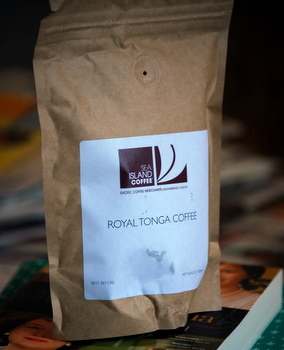 As you might suspect, Royal Tonga Coffee comes from the Kingdom of Tonga in the South Pacific. The coffee is a rare one and there is only one company, South Seas Coffee, that commercially produces and sells Tongan coffee. Just over 2 tons of coffee is produced and exported every year – a figure that might sound like a lot until you compare it to the more than 55,000 tons exported from Kenya annually. Tongan coffee is grown close to sea level and, as a result, has a unique element to its flavor profile: a hint of the sea. The coffee has a hint of a salty, woodsy element to it that reminded me of the small of driftwood at the beach. It has a very full, medium-bodied flavor with distinct notes of leather and a bit of spice as you finish. The coffee has a very round flavor, with only a bit of mild acidity to it. It’s very unusual, but also very drinkable and tasty. I think this is a great breakfast coffee that needs no sweetener or cream to complement it. You can buy it online from Sea Islands Coffee.